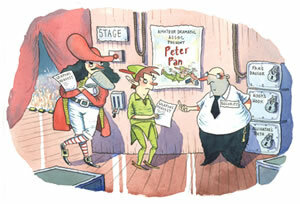 Reports said that the theatre company were just following HSE's guidance sheet. HSE's guidance is clear; it deals with real weapons and the kind of accurate replicas that can cause serious injury or be used in robberies. Not plastic toys. We trust the play did well with all the free publicity!